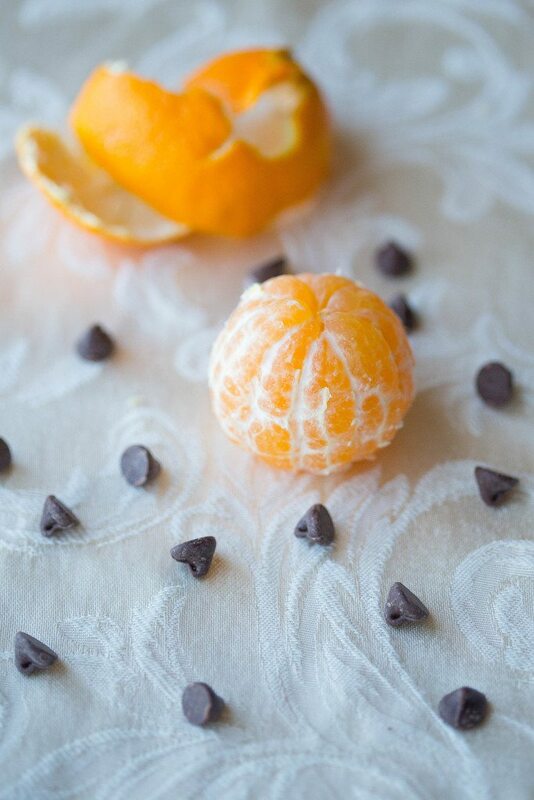 A new twist on the classic flavors of chocolate and orange, these Spiced Chocolate Covered Clementines are a perfect holiday dessert and are dripping with a rich dark chocolate that’s been gently kissed by cinnamon and allspice. Do we have time for one more super easy recipe that’ll be perfect for Thanksgiving Day? 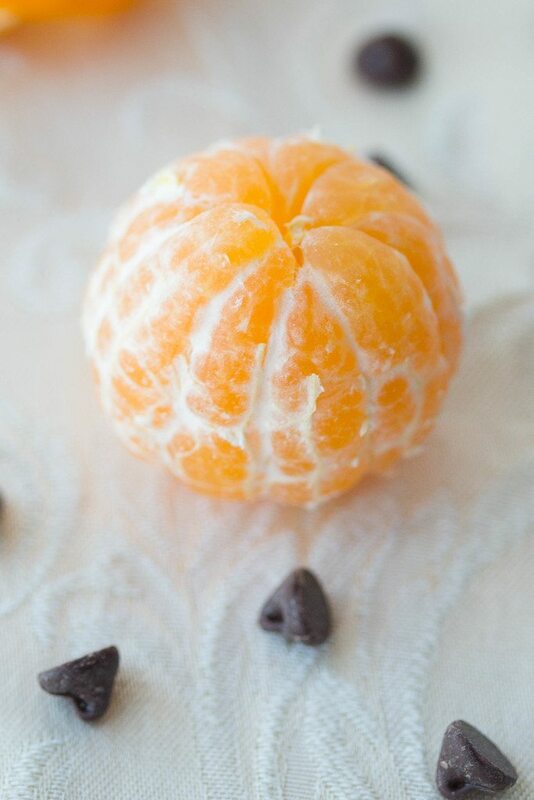 The flavors of chocolate and orange always bring back so many memories for me, and they’re perfect to make around the holidays because they always remind me of family. My cousins and I used to be *HUGE* black Friday shoppers before we all had kids. We would all pile in one car with my mom, aunts, and grandmother piled in another, and we’d head to the mall in Myrtle Beach to shop the day away. There wasn’t a store we would miss. Victoria’s Secret always seemed to be having their semi-annual sale around that time so I’d load up on undies, hit up Bath & Body Works for a year long supply of Country Apple body wash, stop by Claire’s for some jingle-tastic Christmas earrings, wait in the crazy long line for my must have white chocolate peppermint mocha, and swoon and choose a few chocolate dipped oranges to nibble on for energy from the local candy shop. Those days were so much fun! I never really got any Christmas shopping done back then. For me it was more about buying things for myself and making memories with my cousins. Now Black Friday has become so commercialized and people are starting to open their doors on Thanksgiving Day which, I’m sorry, I just can’t support. I understand retail stores are known for being open on the holidays but, when I used to work at a clothing store, Thanksgiving and Christmas were always reserved for family. The doors were never opened until the wee hours of Friday morning. 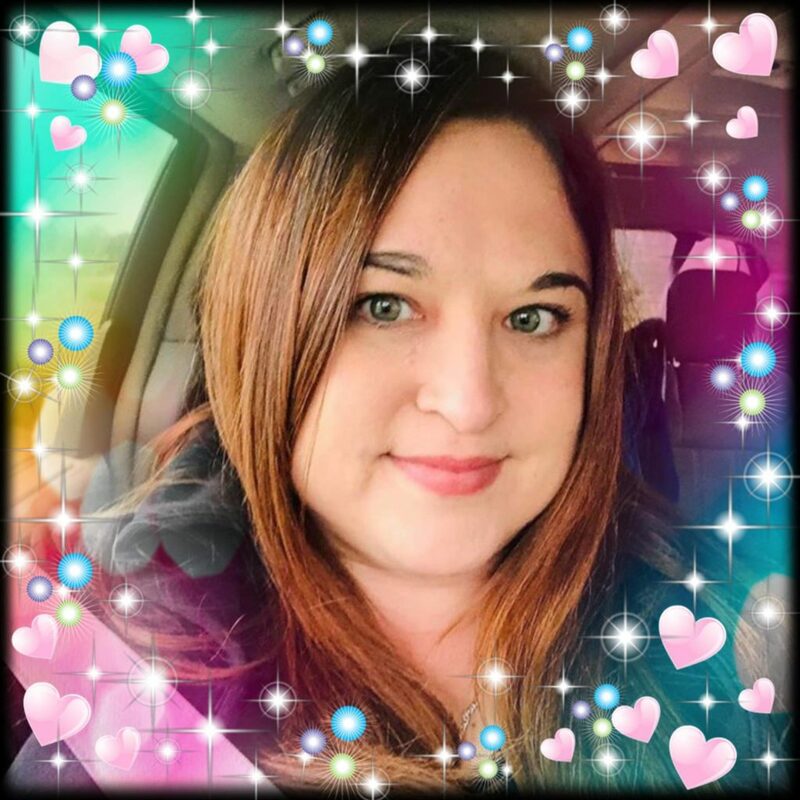 Family is a massive part of my life and I have very, very rarely missed spending Thankgiving or Christmas with them, and I can’t imagine having to miss the holidays because I had to sell Vertaleen six pairs of Christmas socks. I plan to make the most of my holidays this year. I’ve been plagued with some health problems befit for an 80 year old woman, and they have made me open my eyes and realize how important and precious life can be. I promise to open up a bit more about what is going on with me whenever I have more info to share. 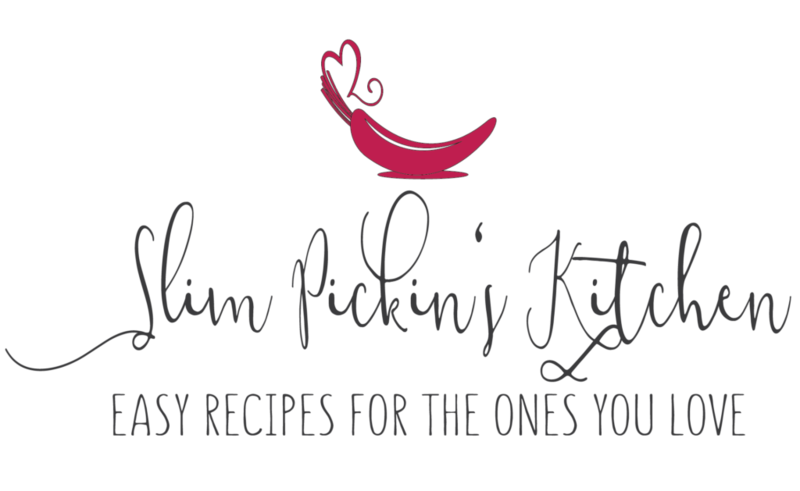 In the meantime, I’m going to stuff your faces full of yummy goodness that’s crazy easy to make, full of vitamins and minerals, and loaded with the flavors of the season. 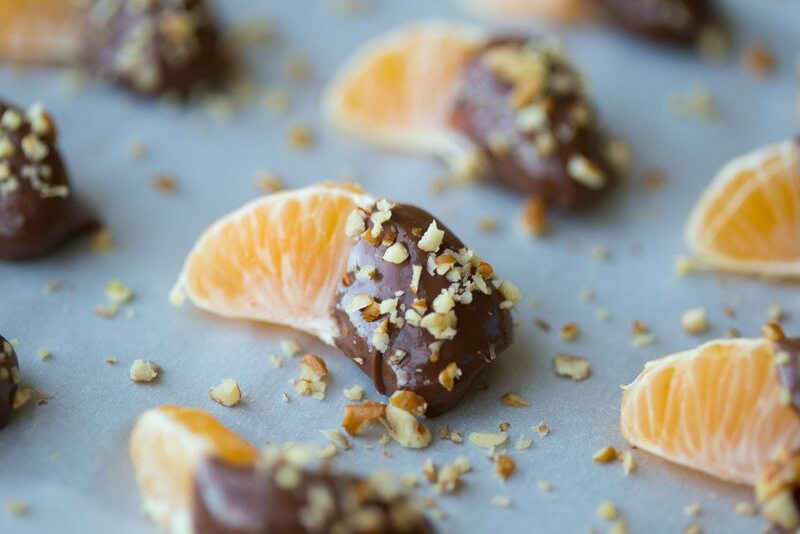 A new twist on the classic flavors of chocolate and orange, these Spiced Chocolate Covered Clementines are a perfect holiday dessert and are dripping with a rich dark chocolate that's been gently kissed by cinnamon and allspice. Line a cookie sheet w/ parchment paper and set aside. In a microwave safe bowl, heat chocolate chips for 1-2 minutes, stirring every 30 seconds, until completely melted. Stir in cinnamon and allspice. 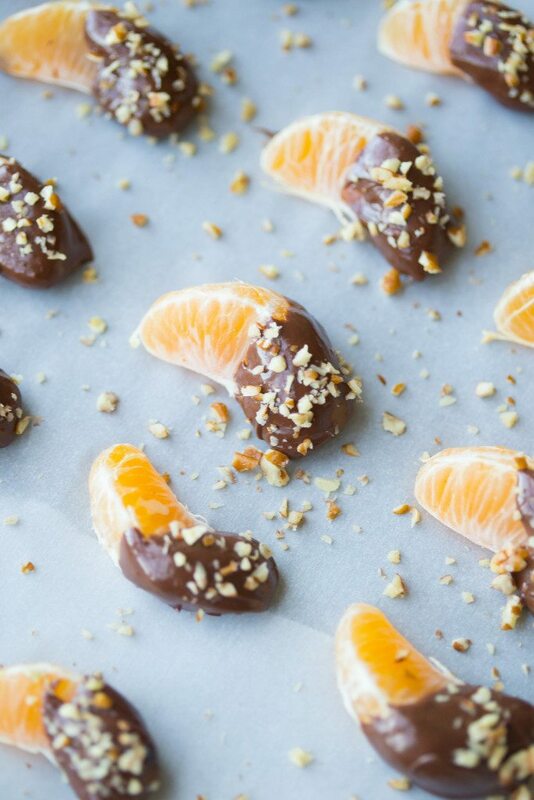 You could also melt the chocolate via a double boiler, if you prefer. 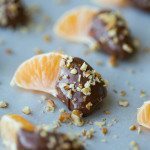 Dip half of each clementine into the melted chocolate, place on cookie sheet, and sprinkle w/ the chopped pecans. Refrigerate for 10 minutes or until the chocolate is set and serve.